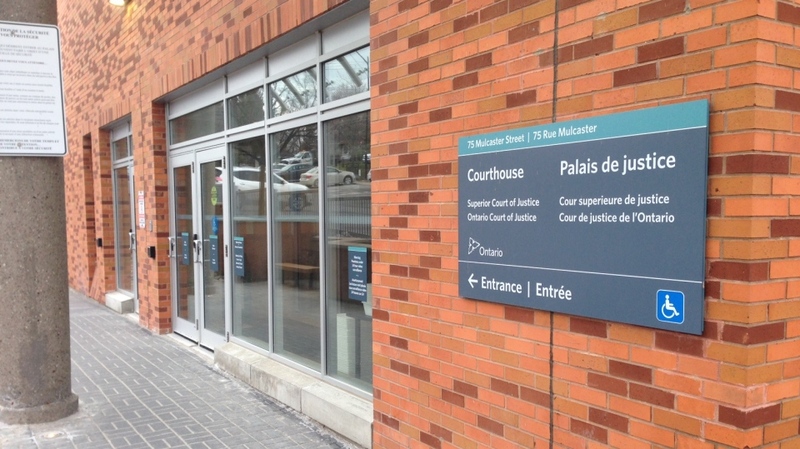 Defence lawyers accused Barrie police officers of fabricating and writing unreliable notes in the trial of two men accused of targeting a senior in a home invasion. The defence questioned police on Tuesday on their memory of the night they say Jeremy Chambers and Revon Obermuller robbed Wayne Rafuse. The pair allegedly took more than $300 in cash from the 82 year old, as well as drugs from the home. Defence lawyer Steven Hinkson called into question Const. Kevin Barkley's account of the night the men were arrested. Barkley believed Obermuller was lying when he asked him where he was coming from, noting Obermuller was sweating profusely and out of breath. The officer believed Obermuller was running away from the scene of the crime, which was located about 800 metres from where he was arrested. "You’re telling us that while you’re speaking to Mr. Obermuller he was gasping for air. I'm suggesting to you officer, that you're fabricating your evidence. As soon as you spoke to him you believed he was guilty of the offence," Hinkson said. Hinkson then cross-examined Const. Jeff Wright over his note taking skills. Wright wrote and testified, “Chambers stated he was coming from a bar; neither male smelled like alcohol." Hinkson told the court his client, Obermuller, did not match the height description of the suspect and that he was stopped, questioned and arrested because he was a tall, black male. Katelyn Nahorney, Rafuse’s granddaughter, admitted on Monday that she planned the 2014 incident. She testified she and two men wore disguises when they entered the home and held Rafuse’s face down on his kitchen floor. She told the judge she stole his bank cards, got his pin numbers, and went to three different bank machines to withdraw cash. Nahorney received a conditional sentence for her testimony, but appeared to back track on her plea deal, saying she could not identify the men. Chambers and Obermuller have been charged with robbery in connection with the home invasion.